Kickstarter announced it has had $100 million pledged for films creating nearly 800 films. 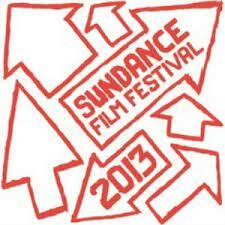 16 of the films the films at this years Sundance Festival have been crowdfunded. So far, though, the most-funded of Kickstarter films is Inequality for All, a documentary that looks at the widening income gap in the U.S., having brought in $83,000.This post has interviews with filmmakers who have used crowdfunding. 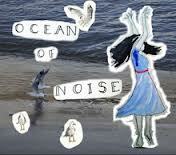 Ocean of Noise, a film about the difficulties of teenage life, is crowdfunding for £1800 on IndieGoGo. There are seasoned hands at crowdfunding an know that apart from a good pitch, quality video and interesting rewards they need to plan their campaign. For two months before they launched they built a buzz around the film building likes on their Facebook page and followers on Twitter. When they launched the had £700 immediately from family and friends. That got the campaign off the ground. They will be updating – showing their search for locations and holding an offline event to keep momentum (and raise funds in the last two weeks). Video blog by Magda M. Olchawska – author & an award winning filmmaker talks about her experience making Anna & Modern Day Slavery. The campaign on IndieGogo raised £14,100 of a £12,500 campaign from 91 funders. Magda ran an active campaign – she has posted 203 updates, 144 pictures and this has generated 172 comments. Magda has over 8000 followers on twitter and the campaign page was tweeted 1938 times (the video blog post has been tweeted 175 times). The film’s Facebook page has 420 likes. The rewards were generous – inviting participation for as little a donation as $1 (10 claimed). 7 people donated $1000 to be named as an executive producer. Useful info for shows like mine, thanks for this.